Start a long-term relationship with a great sport and a pleasant community of people. The course is made up of 6 weeks of 2 hour sessions currently being run on a Sunday morning. If you are interested in joining or have any questions please contact us. The course will introduce you to rowing indoors on a rowing machine (ergo), where you will develop the technique needed in the boat. This technique will then be put into practice on the water, where the rowing (sculling – two oars each) technique will be further developed. 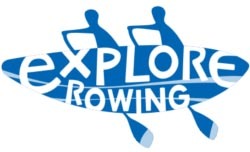 The courses are taught in Explore rowing boats, which are more stable/ balanced than the fine competitive boats, they are perfect for developing the techniques and skills without the worry of falling in. By the end of the course you should be able to row 5km competently and with confidence. We are also always on the lookout for coxes, so if you think you would be more suited to learning to Cox, please to get in contact. we would like you to continue rowing at Warrington, though it is not mandatory. The skills are portable and there are hundreds of rowing clubs throughout the country. The next available course begins on the 15th February 2015. Please email the Club Captain with your full name, age & area you live. We will acknowledge your interest & keep you on the standby list for invitation to future courses. - Do I need to have a certain level of fitness? All levels of fitness are welcome, as a minimum you will need to be able to swim 50m. Fitted clothing is best as loose clothing is more likely to catch. Multiple layers are preferable over one thick layer as you will warm up as you row. Trainers (for the gym and in the learn to row boats) are required, as are a pair of wellington boots for getting into and out of the boats highly (as we are on a tidal stretch of the Mersey).